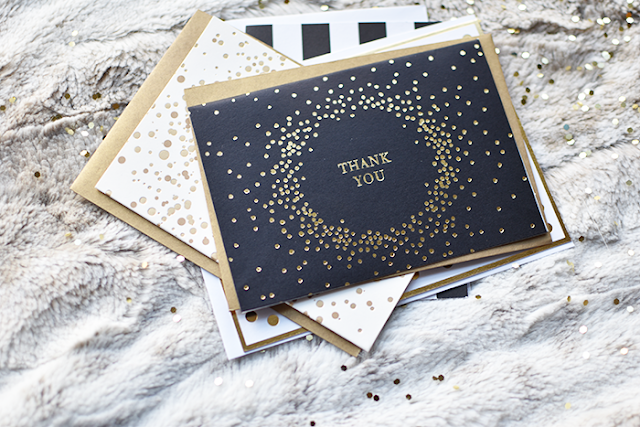 Writing thank you notes is a practice that was instilled in me from the time I knew how to pick up a pen and paper, but unfortunately I think it's started to become a sort of lost art. 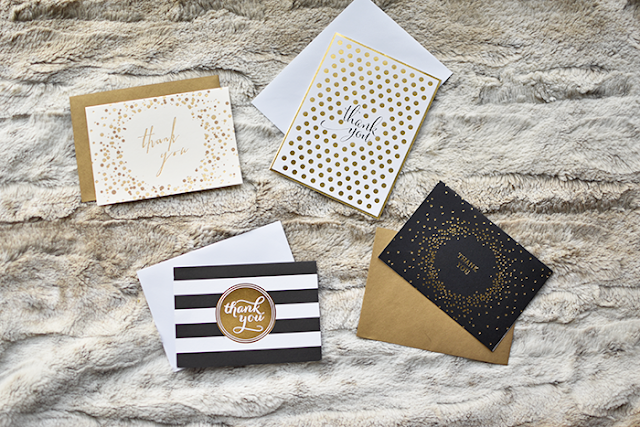 Emails, social media, and texts have made it really easy to communicate quickly. 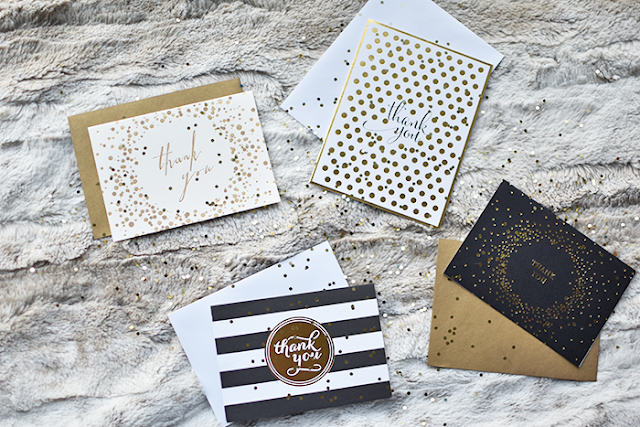 While these are wonderful tools to have in day to day life, I think there is something special about sending or receiving a hand written note, especially when it is to express thanks. 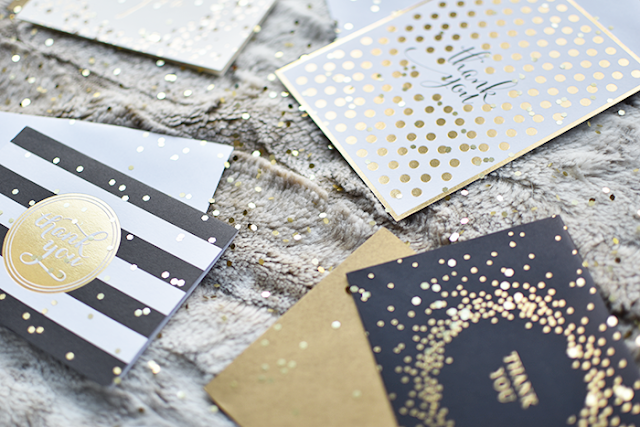 Whether you've got a wedding coming up, just had a birthday, or are simply thanking someone for a kind gesture, I thought I would share a few general guidelines and tips I use to write a great thank you note! The most important thing when it comes to writing thank you notes is to actually do it! The sooner you sit down to write your notes, the better. What you want to say will be fresh in your mind and it makes writing specifics a lot easier. If you've got a lot to write, like for your wedding or shower, I suggest setting a goal of writing a few a day so you don't get too overwhelmed and start writing the same thing in each one! 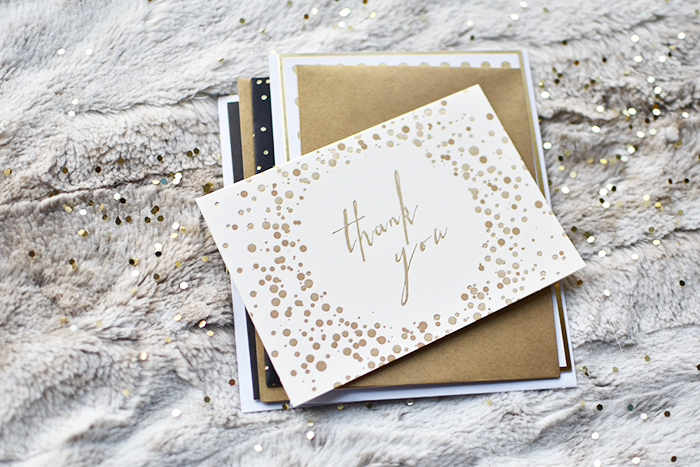 The standard timeline to write a general thank you note is 2-3 days while wedding and shower gifts is 2-3 months, but it's always better to write one late than never. Thank you so much for the beautiful leather card case you got me for my birthday. It's a great size to carry on my keys for daily use and matches my favorite purse perfectly! I'm so glad I got to see you over the holidays and catch up - it had been way too long! Tell everyone I say hello and I hope to see you again soon! Whether you use general "thank you" cards, personalized stationery, or blank note cards, it's the sincerity behind your note that counts. Remember that someone took the time to pick out your gift or do something kind for you, so writing a little note shows them that received your gift and are appreciative! 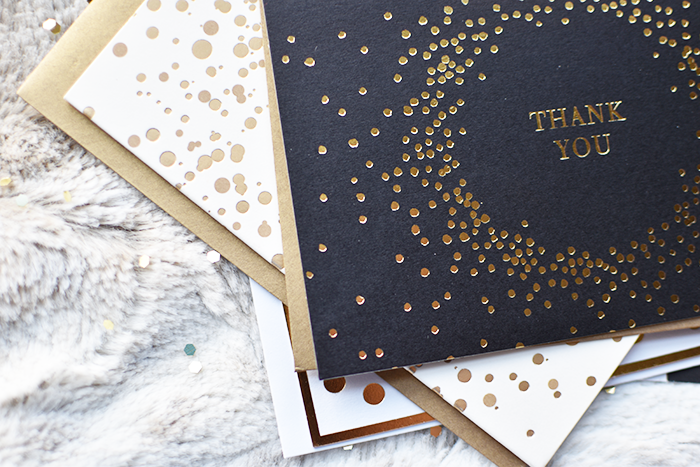 I'm linking a few of my favorite thank you notes at the bottom of the post to inspire you to get started on writing your thank you notes for Christmas gifts!